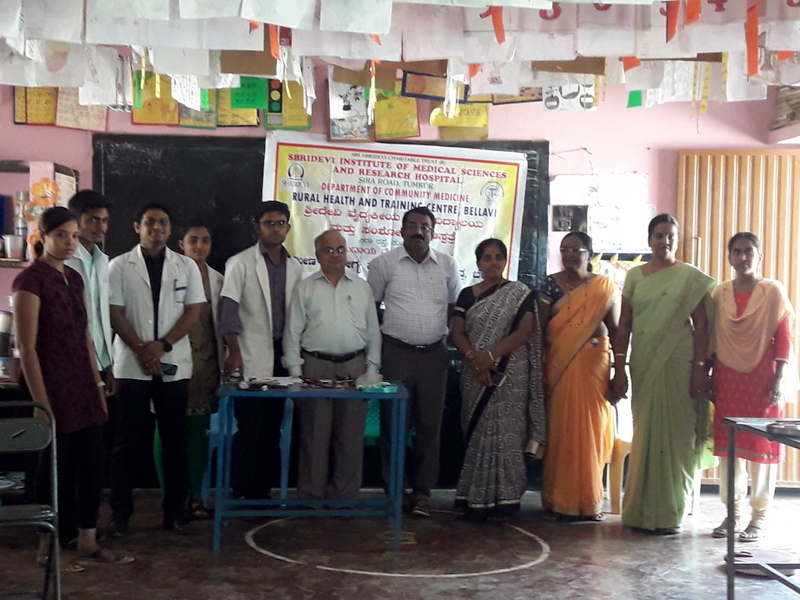 SHRIDEVI INSTITUTE OF MEDICAL SCIENCES & RESEARCH HOSPITAL | School Health Checkup Camp, Bullapur. 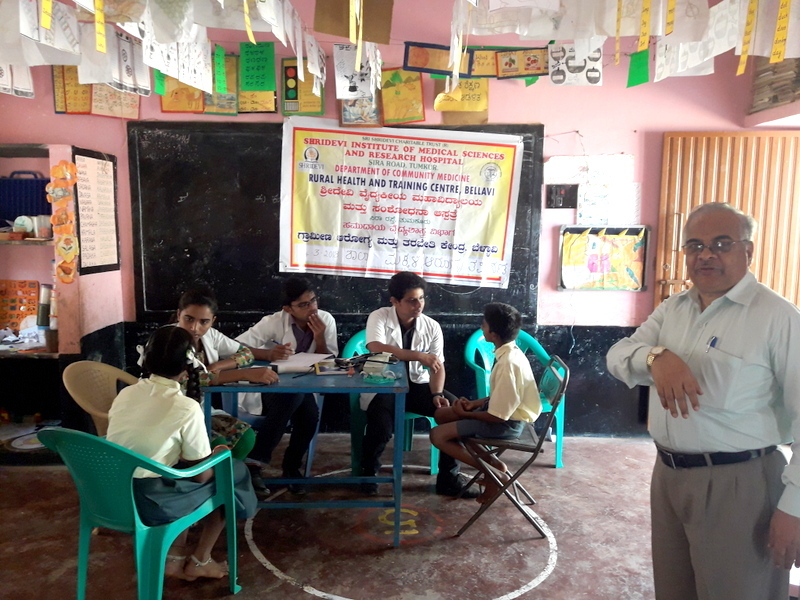 Health Checkup Camps Medical College News Updates School Health Checkup Camp, Bullapur. 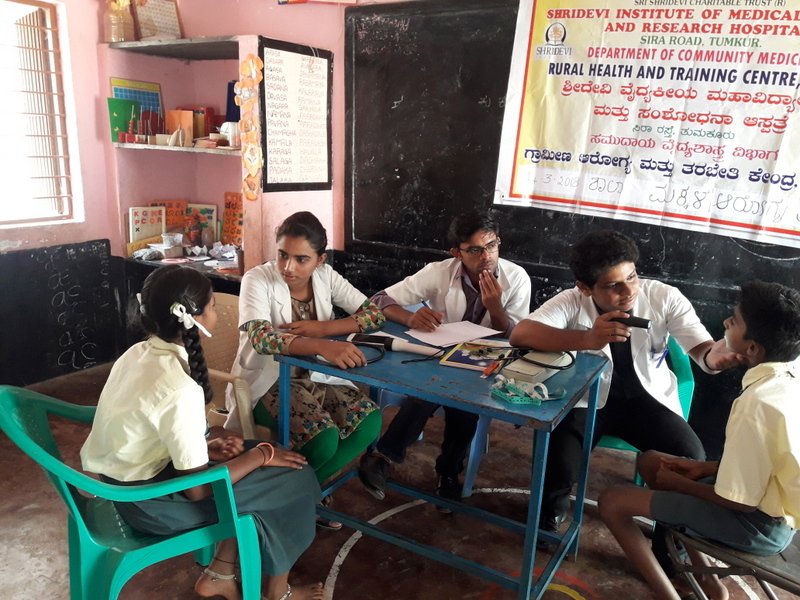 School Health Checkup camp was conducted at Govt primary kannada Medium school at Bullapur, 3km from our Rural Health Training Centre Bellavi on Wednesday, 14th March 2018. 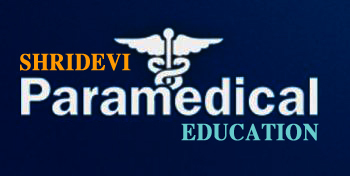 69 children were examined, of which 33 were found to be suffering from malnutrition.